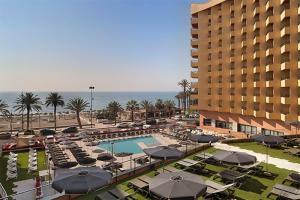 Featuring an idyllic beachfront setting in Torremolinos, in the heart of the Costa del Sol, this hotel offers comfortable accommodations and attentive service. The 540 rooms and suites afford stunning sea views and pampering amenities. Guests will also enjoy the spectacular outdoor pool, Thalasso Spa and restaurants.